A multi-discipline design study was carried out for restoration purposes since parts of the monument suffer stability problems. 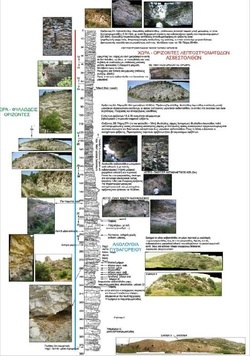 The study initiated in 2009, completed in 2011 and was conducted by a group of consultants which worked under the supervision of Egnatia Odos S.A. in cooperation with the Prefecture of Samos and the Ministry of Culture. The scope of the restoration studies was the rehabilitation of the monument, its protection against natural wear and the provision of safe conditions for public accessibility. The studies that were carried out focused in the main 1036m long tunnel and included definitive and implementation surveying, geophysical, geological, geotechnical, structural, electrical - mechanical and architectural works. For the execution of the works the Hellenic Ministry of Culture assigned a contract and currently the restoration works are under construction.